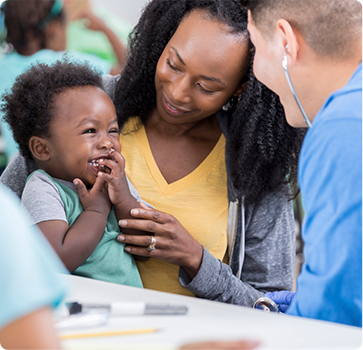 Pediatricians provide a variety of services to families, including diagnosing illness; prescribing treatment; counseling families; monitoring the growing child's physical, mental, and social development; and advising adolescents on a range of emotional and social issues, including ADD, ADHD, and ODD. 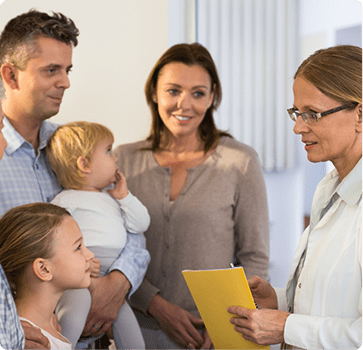 At Family Practice Center in Central Pennsylvania, our providers offer complete medical care for newborns, toddlers, school-age children, pre-teens, and adolescents – including wellness visits, sick visits, acute care, vaccinations, nutrition counseling, and more. We can address parenting concerns and developmental issues, and we can provide education and anticipatory guidance. Convenient school physicals and sports physicals are offered as well. Well-child visits are recommended at specific ages throughout your child’s life to monitor their overall health and development. Most parents schedule their child’s well visit around their birthday each year. We encourage all parents to bring their children in for a health checkup at least once a year. Well visits for infants are scheduled at monthly increments to ensure proper growth and development of your baby. 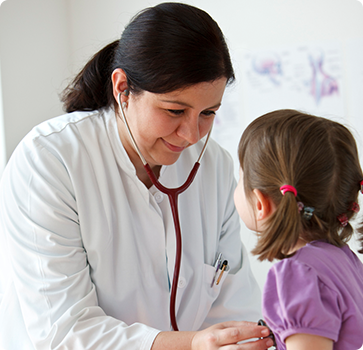 Well-child visits are considered preventive care and are typically covered 100 percent by insurance. What will my Child's Well- Child Visit Include? During a well-child visit, we will perform a physical examination and address any questions you have about their overall well-being, including behavior concerns, sleep issues, healthy eating habits, hygiene, and more. We will also administer the recommended vaccinations and immunizations unless you prefer otherwise. If you have a sick or injured child, our pediatricians will go the extra mile to make your child feel better as quickly as possible. Sick visits are usually available on the same day or the next day. We offer early morning and evening appointments at most locations, and our acute care clinic in Selinsgrove, PA, is open on weekends. Adolescence is one of the most dynamic stages of human development. While generally characterized by good health, adolescence is also a time of dramatic physical, cognitive, social, and emotional change. Because of the rapid development occurring during this phase of the child’s life, many physical and mental health conditions, substance abuse disorders, and health risk behaviors emerge during adolescence. Yet well-care visit rates decline as children age into adolescence. Regular preventive care visits for adolescents provide opportunities for early identification and appropriate management and intervention for conditions and behaviors which, if not addressed, can become serious and persist into adulthood (per the U.S. Department of Health & Human Services). Annual wellness visits are recommended for ages 11 to 21. Pediatric care at Family Practice Center is tailored to your family’s needs. We respect your preferences, values, and culture, and we genuinely care about your well-being as individuals and as a family unit. Call the location near you for an appointment today.